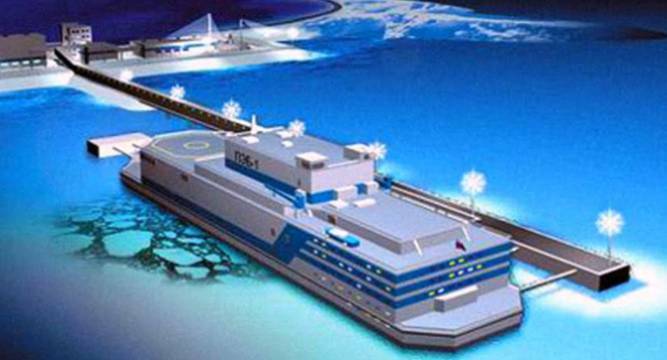 News has emerged that China has initiated work on several floating nuclear reactors to power its controversial developments in the South China Sea as power production there has been quite a hassle for the Chinese. But why would anybody go for floating power plants? An important role of the developed world is shifting away from fossil fuels to start investing in renewable energy resources and nuclear power as cheaper, greener alternatives. But, the fact remains that all of these alternative energy generation technologies pose a new set of problems that have become a thorn in our side whenever we try to shift away from the fossil fuels. With solar energy and wind energy, it is the setting up cost, heavy maintenance and the fluctuating power that creates problems. With nuclear, it is their potential to create a nuclear disaster radiation leak just like we experienced in the Fukushima Nuclear Power Plant in Japan. Many of you aren’t aware but the plant is still leaking huge amounts of nuclear waste into the ocean water and radiation leakage signs have been found as far as the US’s western coast. So, the main thing we can do here is to keep it as far away from the local population as possible. Perhaps that is why the floating nuclear power plants are pursued by the Asia government. More than 20 of these floating plants are in the pipeline according to Gizmodo. Although US and China are both embroiled in a cold-start conflict with each other is the South China Sea, the former might be looking towards this technology with both anticipation and apprehension. We all know that Fukushima reactor meltdown didn’t affect humans as it was quite far away but since it was near the coast itself, it was heavily damaged by tsunami waves whose probability can never be ruled even in the middle of the sea itself. Also, there are plenty of storms, typhoons and hurricanes around the coasts to make things difficult so a floating ship with nuclear parts may not be the brightest idea. Imagine the kind of radiation leak we could be facing if the ship is sunk and what if it isn’t forgiving like the Fukushima plant that didn’t blow up? The Chinese should be responsible over here and try to think this through before indulging in it further.